It is my favourite time of the year, and everyoneâ€™s getting excited to celebrate Christmas, whether itâ€™s here in Plymouth or if youâ€™re heading home for the holidays. Before I head home for Christmas, here are some recommendations for things to do during the festive season! 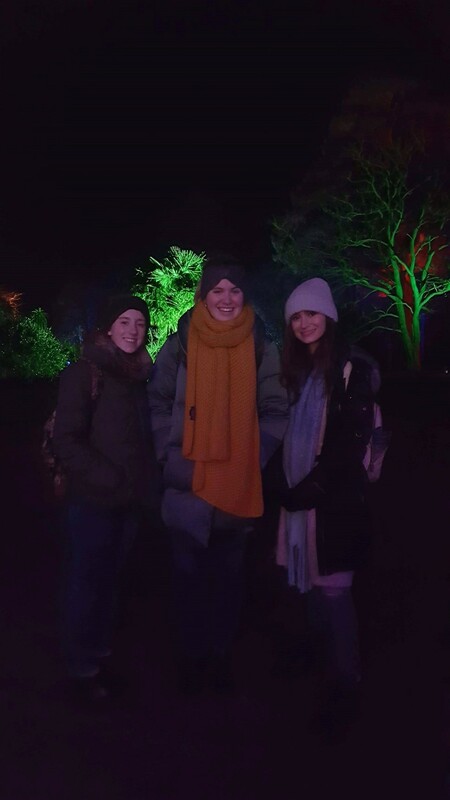 Every year, the Art History team take us to Saltram House for the evening, to see how the heritage house has been decorated for Christmas. Each room is decorated with a different theme, and this year it was based around different fairy-tales. I would highly recommend going to Saltram House at any point, but it is particularly pretty at Christmas! They also light up the gardens, so thereâ€™s lots to see and a really nice cafÃ© with outdoor seating (and blankets as it was freezing!) - perfect for a hot chocolate. On Tuesday evening, at the Methodist Central Hall (next to Drakes Circus) there was a Carol Service put on by the Christian Union. Everyone was invited, whether you go to church or not, and it was such a nice evening to sing Christmas Carols and feel festive! It was not something I had done before, but I went along with some friends and really enjoyed it. Christmas, and we actually got the train to Exeter for a spot of Christmas shopping. It was so nice! It only cost around Â£6 return (with a railcard), only took about an hour on the train, and it was nice to go somewhere else to look at the different shops they have. 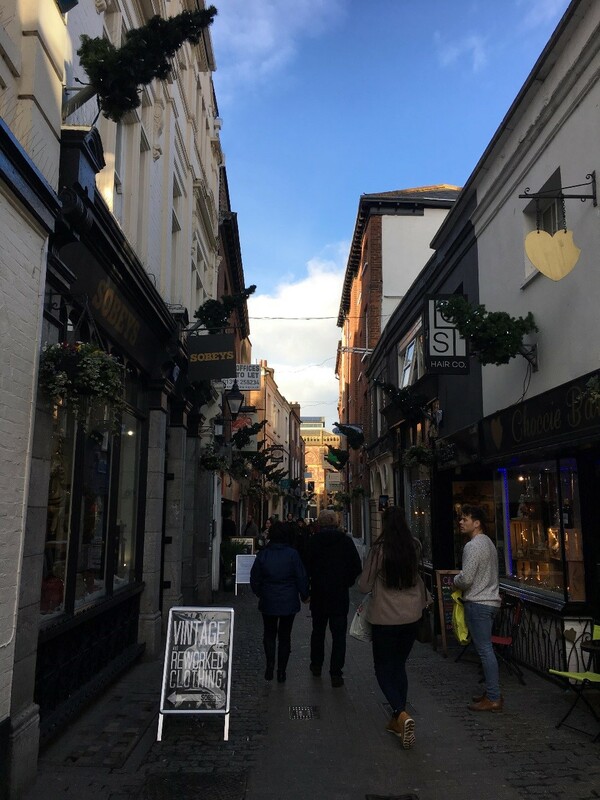 They also had little lanes of independent shops in Exeter, which were lovely for more unique gifts. I would also recommend the Christmas market in Plymouth and the little shops on the Barbican too! My friends and I have had some really nice evenings this term, and Christmas is an excuse to have even more. We had a cheese and wine evening, where we all bought a different cheese (and lots of other food for just 5 of us â€“ we got a bit carried away in Aldi!). We sat by the Christmas tree in our house, and ate lots of food whilst watching Elf and Nativityâ€¦ it was one of my favourite evenings this term! Evenings with Christmas films, bucks fizz and good food are the best! The end of this term also bought a sad goodbye to say to my friend Cassia, an exchange student from Canada who joined us in Plymouth for this term. We all got on so well and weâ€™ve definitely made a friend for life! So as a final goodbye, my friend and I took Cassia for a scone with cream and jam in a cafÃ© in town â€“ very British! It was a lovely afternoon reminiscing on how fun this term has been. Cassia, if your reading this, thank you for the lovely memories! I really enjoyed getting Christmassy here in Plymouth, and as excited I am to be home for Christmas now, I miss Plymouth already! My mum and I spent Monday putting up our Christmas tree and watching Christmas films. See you in 2018 Plymouth!